Everything you eat and drink will impact how you look and feel on your wedding day. 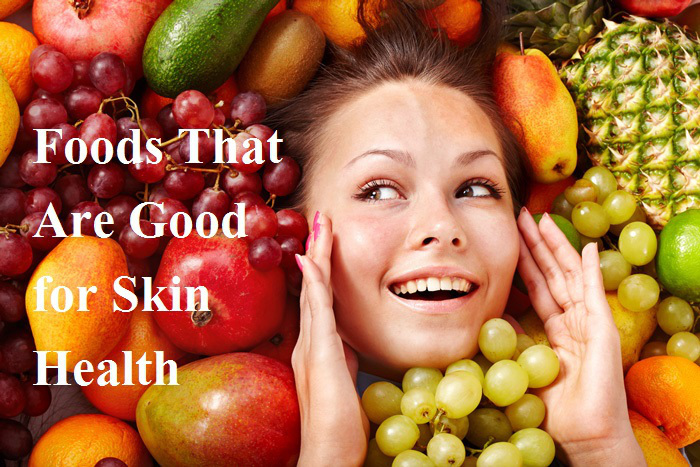 You can spend a fortune on fabulous skin care products but if you’re not feeding your skin the right foods then you’re pretty much throwing your money down the sink. And I’m not talking about the dreaded D word – I hate the word diet. 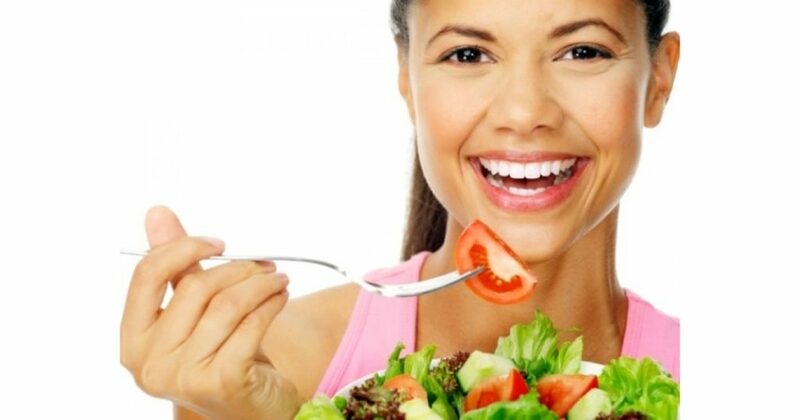 In fact a crash diet is the worst thing you can do as it will only cause stress hormones that will wreak havoc with your skin and deprive you of crucial nutrients. So instead I want you to think of this as your wedding day ‘nutrition prescription’ for your skin, because you really are what you eat and drink. Think of this as a time to put yourself first. So you can really take care of yourself and eat the very best food and beverages, that will not only get your skin glowing but make you feel fantastic. Choose good quality protein such as free range chicken and omega-3 rich oily fish. Not only will this help balance blood sugar and insulin levels, it will also give your skin a great glow. Shellfish, salmon, and cold water fish feed your skin healthy fats. Speaking of fat, DON’T GO FAT FREE. That is the road to ruin and will give you dull and dry skin. 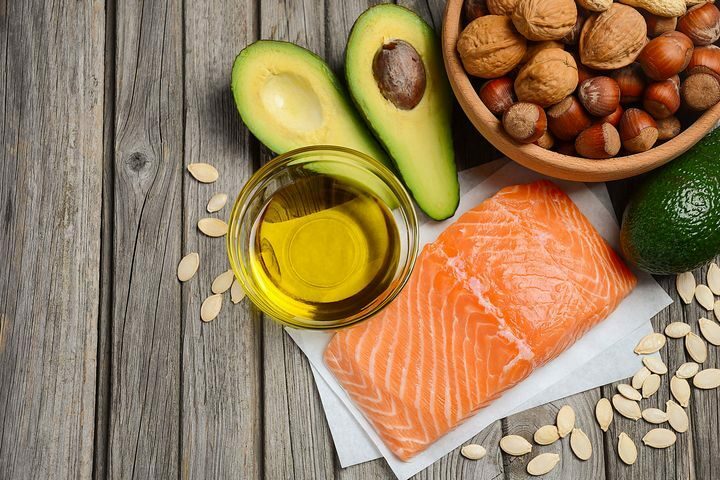 You need plenty of healthy fats including nuts, seeds and olive oil. Add in flax seed oil or chia seed to your breakfast cereal, to boost your omega-3 daily dosage. No put down the M&Ms. Fill your plate with brightly coloured fruits and vegetables to ensure you are getting a wide variety of vitamins and nutrients in your diet. Carrots, tomatoes, apricots, spinach and green vegetables all contain lycopene, which is wonderful for your skin. Blueberries are packed full of anti oxidants which support cell renewal and keep skin looking it’s best. A diet high in vitamins, especially vitamin C, helps stimulate collagen which keeps skin firm and smooth fine lines. Yes I can hear you groaning now! But water keeps your skin hydrated which helps lubricate your skin. Two litres of water a day helps prevent skin sagging and wrinkling. Water is vital for cell renewal and helps flush out toxins as well as help keep hunger at bay. So if you want to have radiant glowing skin on your wedding day make sure you keep drinking plenty of fresh water every day. Your morning cup of coffee and that glass of wine at night will leave your skin looking tired and dry because they dehydrate your skin. Cut right back and eliminate completely if you can – your skin will really thank you. Reducing your sugar and salt intake will help transform your skin. Processed sugars and salts irritate and inflame your skin and can cause puffiness in your face. High sugar intake ages you faster by causing damage to your skin tissue and cells. Replace high sugar treats with fresh fruits and healthier treats. 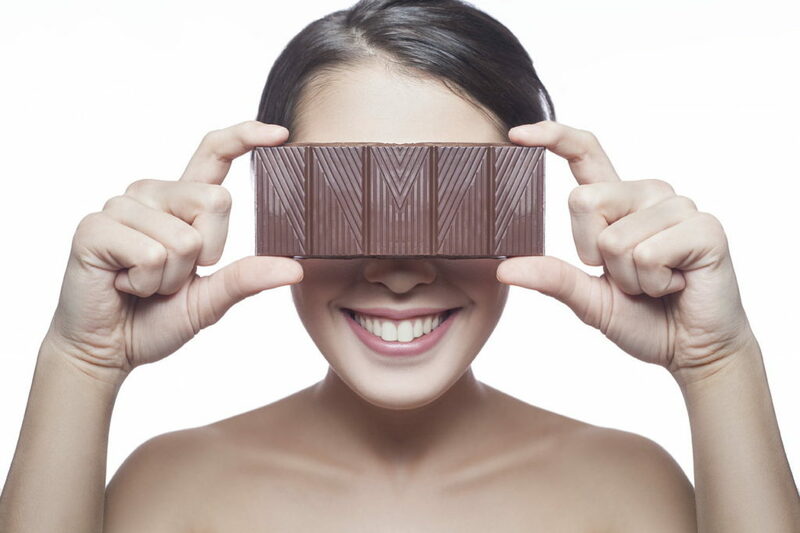 Contrary to popular belief, chocolate does not cause acne. In fact, research has shown that dark chocolate even protects skin from sun damage. Chocolate, or rather raw cacao or dark chocolate, contains anti-aging antioxidants called flavonoids. They fight free radicals to protect your skin from UV damage and prevent the appearance of wrinkles, fine lines, and skin discolorations. Chocolate also makes you feel happy. When you eat it the brain releases endorphins, your body’s natural feel-good chemical which lifts your mood and helps keep wedding planning stress at bay. Avocados are the ultimate “get gorgeous” food. 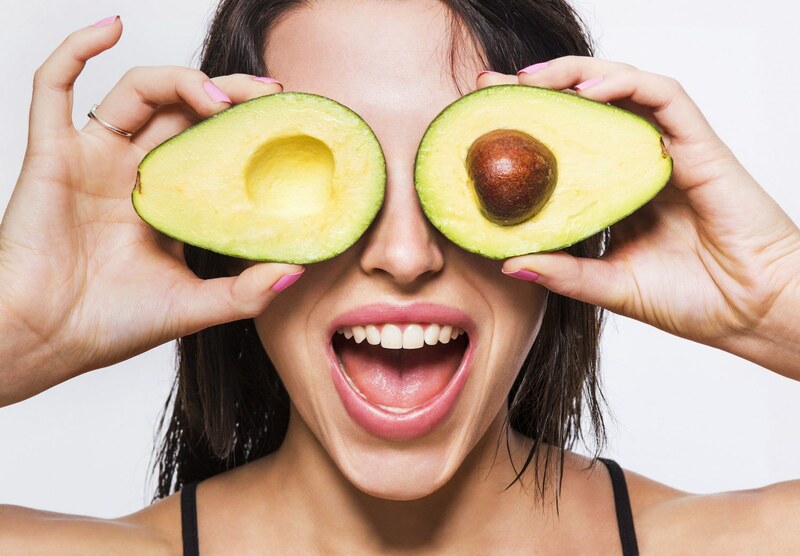 Fantastic for hair, skin, and nails, the monounsaturated fatty acids in avocados not only help lower bad cholesterol levels, but also reduce the appearance of aging in skin. Avocados also contain antioxidants, fiber, potassium, magnesium, and folate, and one avocado is packed with more potassium than a medium banana — nearly 700 milligrams! Berries are loaded with anti-inflammatory agents and vitamins that boost your skin cell renewal and help protect you from premature aging. The antioxidants in berries help minimize the damage of free radicals, which can accelerate wrinkle formation and cause disease. Additionally, berries are packed with vitamin C, which keeps skin firm and strong. Also known as ascorbic acid, vitamin C is essential to the production of collagen which aids in the growth of cells and blood vessels. Eat a handful of your favourite berries with breakfast or pureed into a smoothie every day. 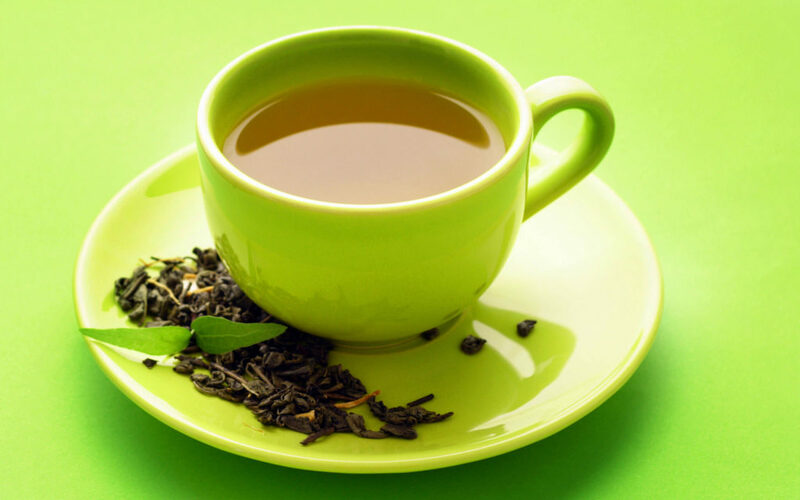 Green tea improves your skin complexion and makes your skin healthy. It helps flush out toxins from the skin, helps heal blemishes and scars and reduces inflammation. It even improves the skin’s elasticity. Green tea contains a high amount of antioxidants that also promote hair growth. It can even promote the growth of new hair and prevent common problems like dry scalp and dandruff. Sleep deprivation causes a decrease in blood flow to the skin surrounding your face. Your body boosts blood flow to the skin while you sleep which means you wake with a healthy glow. So don’t skimp on sleep or your complexion will look drab, ashen or lifeless. So now you know what to eat and drink to get gorgeous glowing skin on your wedding day. Combine that with a great skin care regime and you will look truly radiant on your special day. If you want to get radiant, glowing skin on your wedding day 2018, then it’s time to turbo-charge your skin cleansing routine today. No amount of expensive foundation can make blotchy, tired skin look good. Plus if you’re not cleansing properly you’re just wasting your hard-earned cash on expensive skincare. You need to become the ‘queen of clean’ and up your cleansing routine to get beautiful glowing skin for your wedding day 2018. Removing makeup and dirt is crucial. You need to cleanse your face morning and night. Thorough cleansing gets rid of the build-up of dead skin cells on the surface of your skin and is the first vital step to radiant, glowing skin. You need to remove that dead layer every day so that the fresh new skin is revealed underneath. And no, a quick swipe with a face wipe will not do! No matter how tired you might be, make time to clean your face before you collapse into your bed tonight. It will really pay off on the most photographed day of your life. What should I cleanse with? That will depend upon your skin type. You can choose from a cleansing cream, balm or oil. If you are still using soap and water – stop now! Massage your cleanser into dry skin with firm, small circular movements working from the centre of your face upwards and outwards. But be gentle around your eye area. 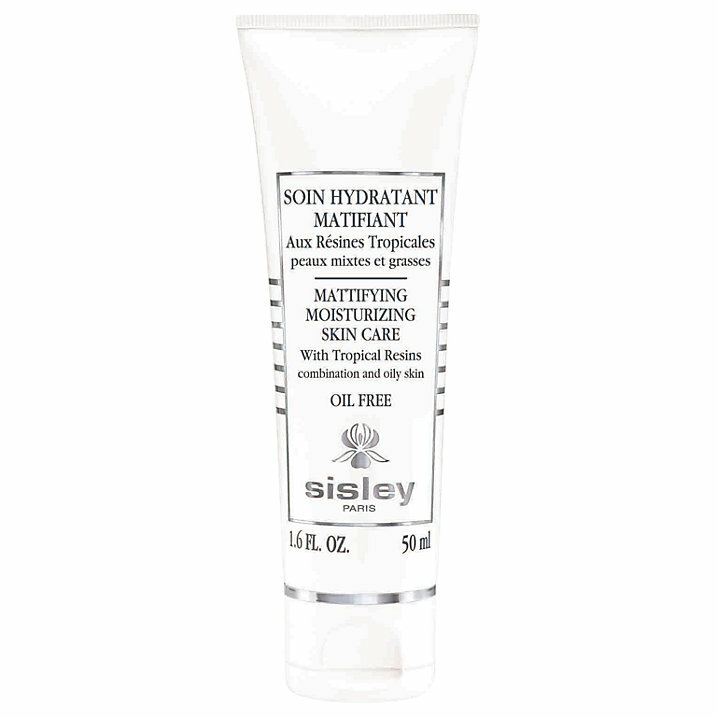 This will help melt makeup away as well as help with circulation and decongestion of your skin. Use a hot wet cloth – muslin or flannel – and press and wipe face to remove first layer of cleanser and dirt. Then re-apply cleanser and repeat. This may seem excessive, but this vital second cleanse will clean much deeper into your pores and help remove any impurities. Coco Bella Bride is a big fan of the Emma Hardie Amazing Face Moringa Balm and the multiple award-winning Liz Earle Cleanse and Polish. Watch this cleansing massage routine to help give you clear, glowing skin when you say “I Do” on your wedding day. After cleansing gently pat face with clean, dry towel. Your skin should feel fresh, soft and revived. Use the base of your thumbs to massage the oil upwards and outwards along jaw, and cheekbones and then across your forehead and hair line. 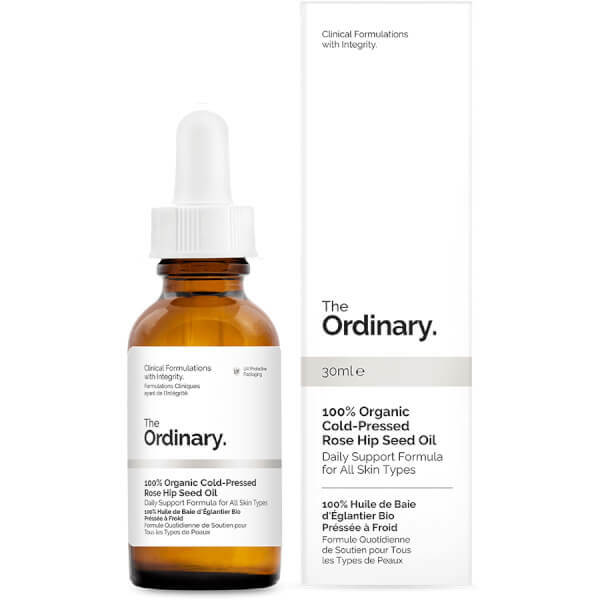 Here at Coco Bella Bride we are big fans of 100% Organic Rose Hip Oil by ground breaking beauty company The Ordinary. Apply a small amount all over your face, like you would a toner using a cotton pad and leave on overnight as a treatment. Dead surface skin cells don’t reflect the light so if you don’t remove them your skin becomes dull, flaky and greyish. A gentle exfoliator will go a long, long way towards restoring beautiful, healthy glowing skin. ‘Gentle’ is the important word. AVOID anything that is harsh, scratches or over-buffs your skin. Liquid exfoliants are very effective at treating enlarged pores, dullness, minor pigmentation marks and brightening your skin. Use an AHA-based liquid twice a week. AHA’s – Alpha Hydroxy Acids like glycolic, lactic and citric – will help reveal the virgin skin beneath the upper layer of dead skin cells. However the new skin is vulnerable to sun damage so always ensure you wear a sun block afterwards. If you have eczema, rosaca or extremely sensitive skin then go very gently. Patch test your first application to see how your skin responds. A subtle tingling is normal – anything more than that then AHA’s are not for you. One of our favourites is Liquid Gold AHA. A cult product among industry insiders, Liquid Gold is renowned as an ‘overnight facial’, gently exfoliating tired and dull complexions and plumping the appearance of your skin while you sleep, helping to refine the appearance of enlarged pores and skin texture. Wake up with a brighter-looking, revitalised complexion with Liquid Gold. Sensitive skin: apply Liquid Gold to a dampened cotton pad to minimise the tingling sensation and start by using it just two nights a week; then after two weeks, graduate to using a dry pad. This gives your skin time to adjust to the treatment. Serums have a very fine texture that penetrate quickly into the surface of your skin. They contain a higher concentration of essential oils and active ingredients, and the smaller molecules can penetrate the skin much deeper than your moisturiser. Serums help you address your specific skin concerns – some serums treat dehydration , others open pores and spots. 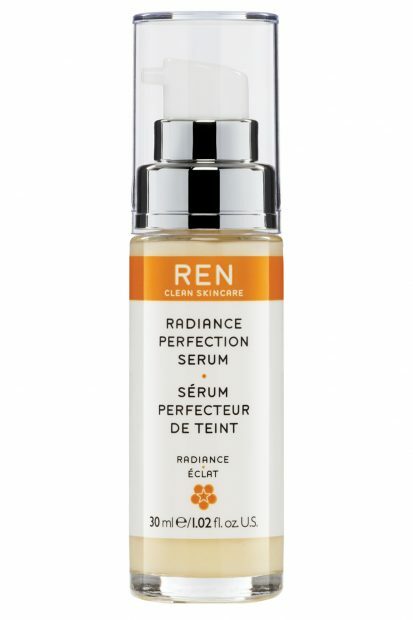 One of the best on the market for giving you radiant glowing skin is Ren’s Radiance Perfecting Serum. This plumping skin serum gives an all over radiance boost and evens the tone and texture of the skin for a more flawless finish. 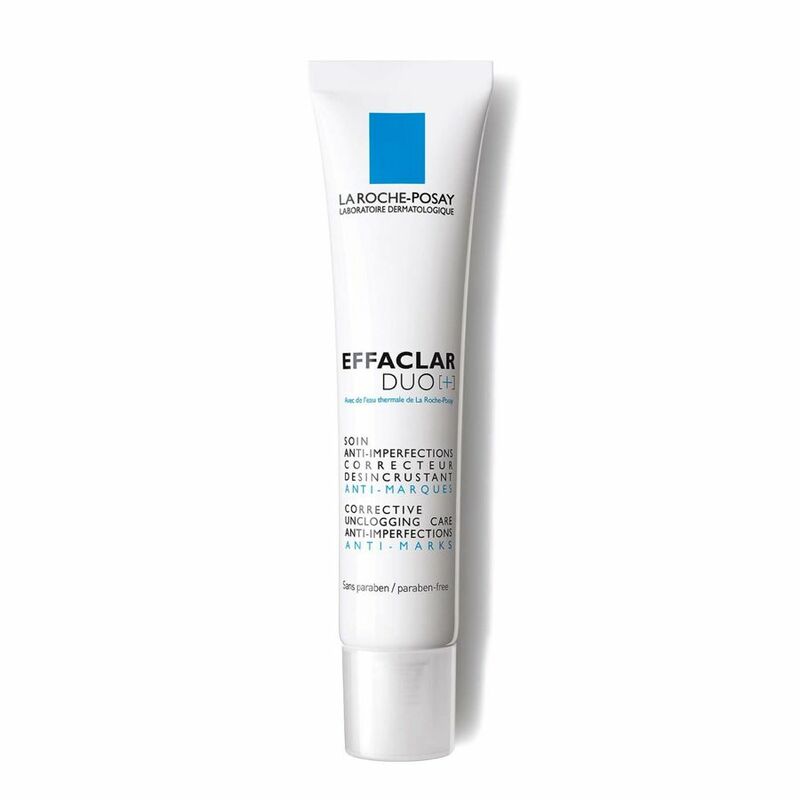 Anti-ageing ingredients include Glabridin (from Licorice), Tyrosinase Inhibitors (from Wild Canadian Rumex ) and Vitamin C – plus Hyaluronic acid to hydrate. You absolutely need to ensure that your skin is well hydrated. Dry skin doesn’t glow nor does it photograph well. Your skin’s tone and flexibility depends on the presence of water in the underlying tissues of your face. 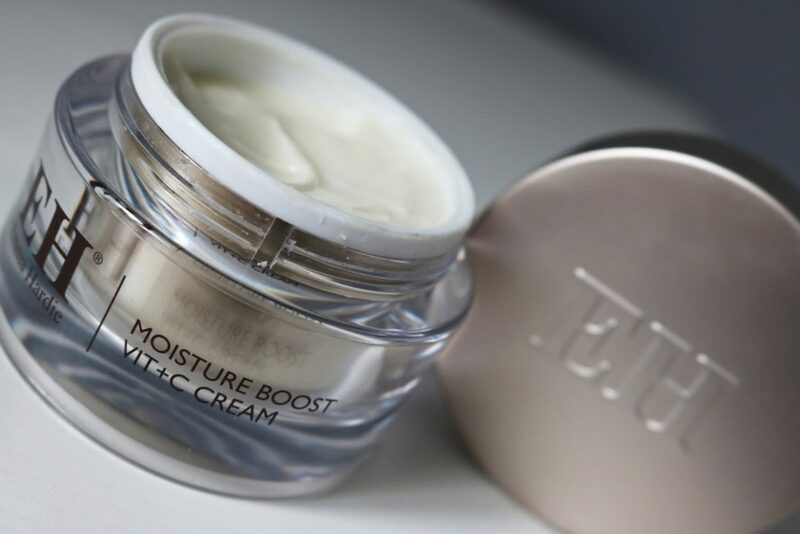 A good moisturiser acts as your skin’s natural protector, by creating a defensive barrier on the surface of the skin and preventing water from leaving your skin. It also smooths the texture of your skin and helps to maintain good skin-cell health. A great moisturiser will also help hydrate and plump your skin to help give you that glowing, radiant healthy look. Use a super rich moisturising balm with ingredients like shea butter or glycerin for better texture and and for smoother application of foundation. Warm the balm between your hands before applying to your face. Try using an oil-free formula to hydrate yet also control overactive oil glands. Foundation applied over the lotion will also hold better. You can also add a mattifying primer on your forehead and T-Zone for very oily skins. Once your face is thoroughly cleansed and while the skin is still slightly damp apply moisturiser with clean hands. Warm about a fifty-pence sized amount between your palms and then gently press the product into your skin until it is completely absorbed. If you follow this routine religiously then you will be well on your way to perfect glowing skin you have always dreamed about for your wedding day. Grab these eight essential beauty buys for summer brides and look flawless all day no matter how humid the weather on your wedding day. If you’re planning a wedding in the heat of summer or flying away to a tropical destination then the last thing you want is your makeup sliding down your face when you say ‘I Do’. Hot and sticky environments combined with wedding nerves put your makeup under pressure on the day. You need ‘melt-proof’ formulas and oil free beauty products that stay put in a heatwave. Choose your beauty products wisely or you’ll end up looking more ‘radio active’ rather than radiant bride-to-be. This soothing, oil free moisturiser has an immediate and long-lasting matifying effect on your skin giving you a fresh and clear complexion. Marshmallow, Bamboo Powder and Java Tea extract help control shine whilst keeping your skin soft and hydrated. Creates the perfect complexion base for a summer wedding. 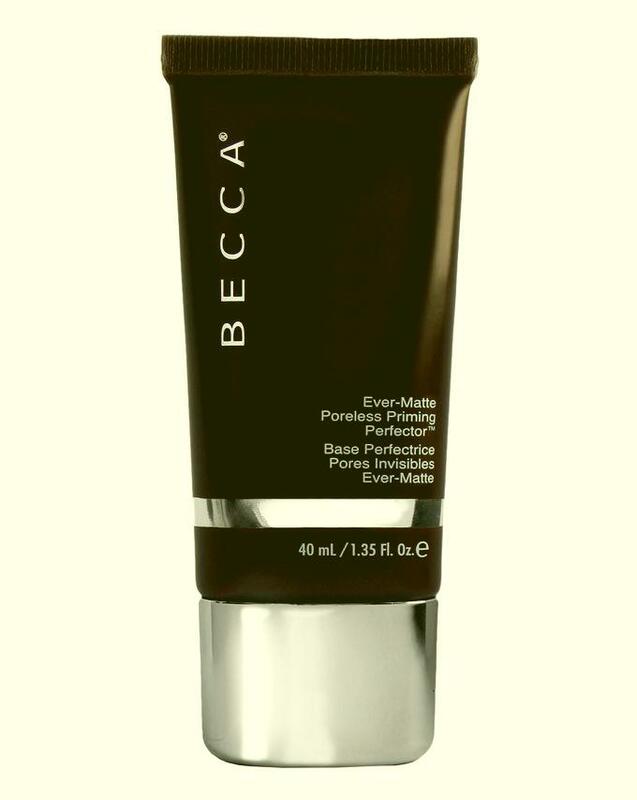 This fabulous primer soaks up excess sebum leaving your skin looking smooth and soft and perfectly prepped for foundation. It’s lightweight and completely free from oil and silicone, so feels weightless on your skin. It also helps to even out skin tone and blurs any fine lines and imperfections. Helps hold your wedding makeup in place until you’re ready to say goodnight. This is the holy grail of waterproof foundation which is reflected in the price but it’s worth every penny. You can even say I Do in the ocean wearing this and it still won’t come off! This comfortable, breathable foundation perfectly conceals darkness under the eyes and any imperfections whilst giving you a natural radiant finish. Just gorgeous! 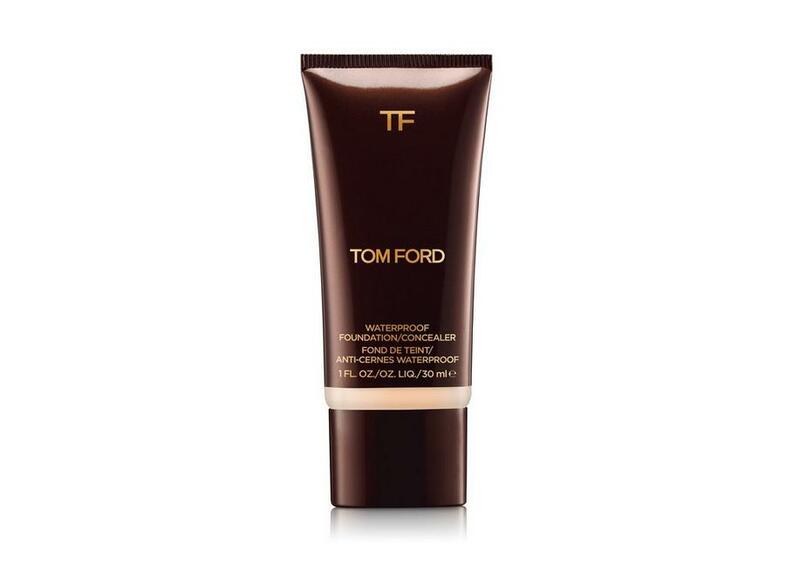 This Fabulous foundation by Tom Ford gives outstanding coverage whilst looking soft and natural on your skin. Dior Cheek & Lip Glow instantly reacts to the moisture in your skin and lips to give them a luminous custom pink glow. Fresh and ultra-light, its gel formula blends seamlessly with your skin, leaving nothing but the weightless veil of a healthy glow. A true original. 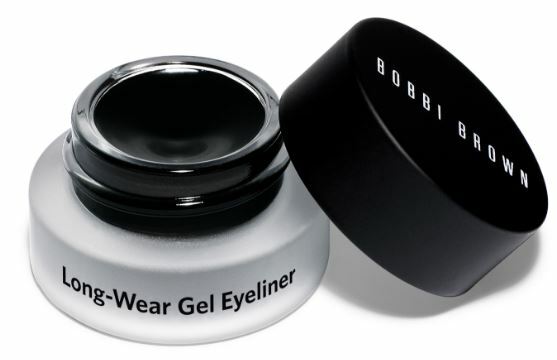 This award-winning long wearing eyeliner offers the precision of liquid liner with the ease of a gel-based formula. All the while giving you 12 hours of waterproof wear as well as being sweat and humidity resistant. 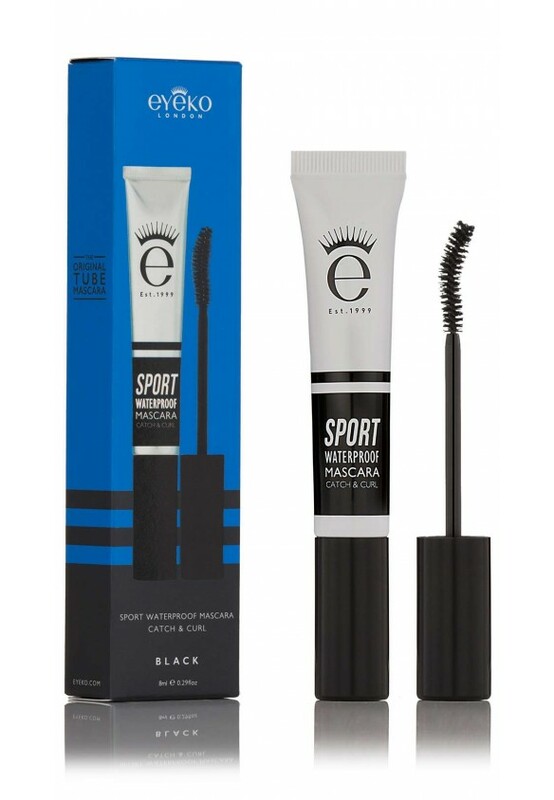 If you’re wearing Eyeko Sport Waterproof Mascara on your wedding day then you can ball your eyes out with ZERO risk of black streaks running down your face. It’s gel formulation repels water as well as lifting and adding volume to your lashes with a fibre enhanced conditioning formula, with collagen and 11 different fruit extracts. 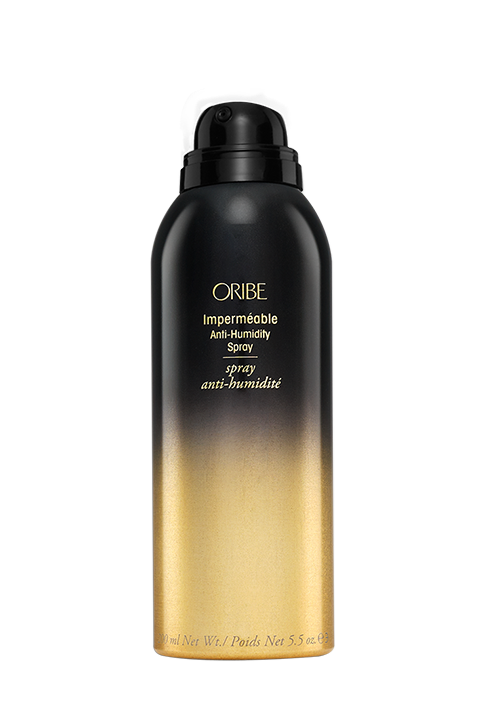 This anti humidity finishing spray shields hair from frizz on the sultriest of days (and nights), protecting sleek luscious locks and perfect curls alike. Apply a light misting all over your hair before blow drying. Also spritz it onto sections of hair before using a curling iron or hot rollers to keep your wedding day hair perfect all day. This soothing and cooling beauty mist is a unique blend of 7 extracts that provides radiance, toning and hydration and is perfect for refreshing any bride on her wedding day. Perfect for revitalising your bridal makeup throughout the day and night. Have one of your bridesmaids carry it for you and apply whenever you want to cool and refresh your face, so you remain picture perfect no matter how hot your special day. For Beautiful Bridal Hair Styling and Makeup Artistry you can make a booking with Coco Bella Bride. Try the chocolate every bride should eat! Are you trying to resist on #worldchocolateday so you can fit into your wedding dress? Well now there’s a chocolate that makes brides more beautiful the more they eat. Cambridge beauty therapy chocolate will help give you that gorgeous bridal glow for your wedding day. The more you eat the more radiant you look. If that sounds too good to be true then I don’t blame you – I was sceptical at first. However the Cambridge scientists who created it claim Esthechoc will also give you more defined, firmer skin as well as slow down the signs of aging. They say that by eating one bar of the Cambridge beauty chocolate every day you will see visible signs within three weeks. Although it may be smaller than your usual favourite treat it packs a big nutritional punch. 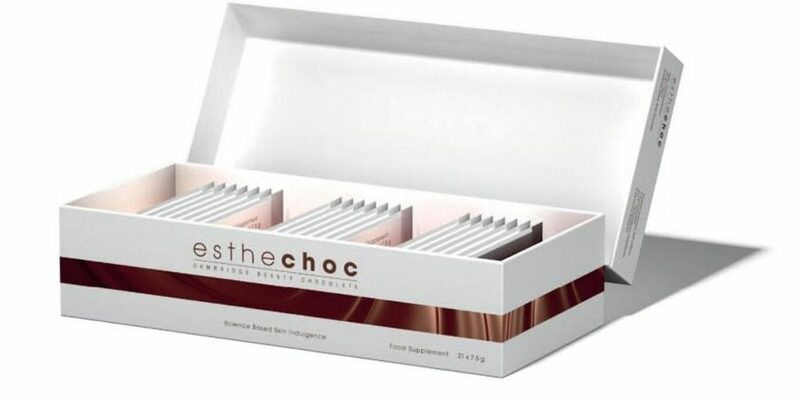 Esthechoc is a delicious dark chocolate that is infused with very powerful plant extracts. According to the company one 7.5g bar of the beauty therapy chocolate also contains as much anti-inflammatory astaxanthin as a 300g serving of salmon. 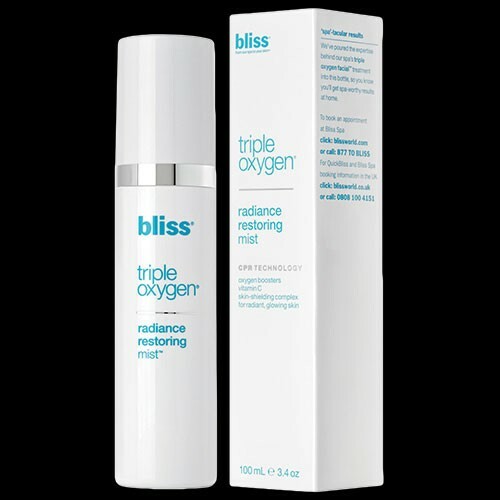 Participants in the clinical studies had improved blood supply to the skin which boosted oxgen to the skin and improved respiration. All of that adds up to brighter, glowing skin which is perfect for brides looking for that gorgeous ‘lit from within’, natural glow on their wedding day. 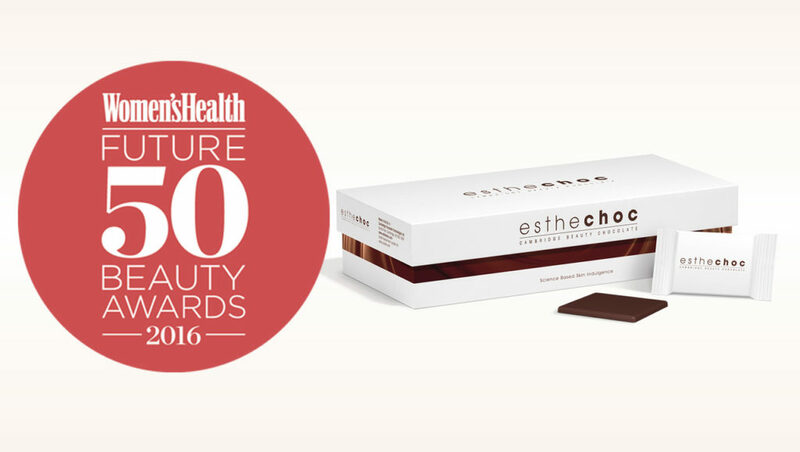 Esthechoc won Best ‘Beauty From Within’ Award in 2016 and is now available to buy at Harrods and online at Dermacare Direct. P.S. 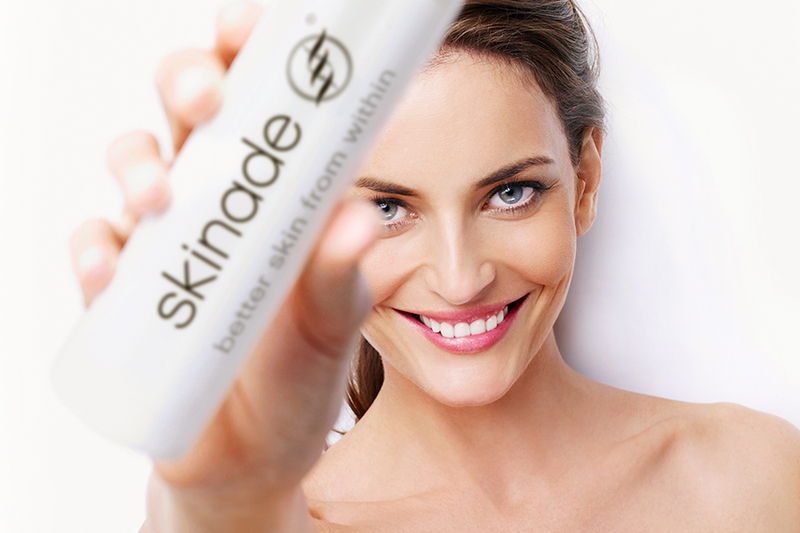 You can also DRINK your way to your bridal glow with SKINADE – the multi award winning skin therapy drink. Packed full of collagen and essential vitamins and minerals this beauty drink will give you clearer, softer and more radiant looking skin.